UK Budget 2018 – Tax Changes & Tax Planning for 2019 & Beyond. Despite speculation that the Chancellor would announce further restrictions to pensions tax relief, and fears that Entrepreneurs’ Relief might be scrapped, there were few surprises. More striking were the absences, with Brexit very much the elephant in the room, attracting only a handful of references. Although there were no major surprises, there are a number of important changes for private clients and SMEs. I would highlight in particular changes to Entrepreneurs’ Relief. While the relief survived speculation that it might be scrapped, as currently drafted, the changes to the definition of personal company could mean that the relief will not be available to many companies with common share structures such as alphabet shares and growth shares. Combined with an increased qualifying period of 24 months, meaning that taking corrective steps shortly before a transaction will be ineffective, it’s more important than ever to review the availability of Entrepreneurs’ Relief rather than taking it for granted. The key announcements for private clients and SMEs are set out below. The Chancellor announced an increase in the personal allowance and basic rate band to £12,500 and £37,500 from 6 April 2019. From 6 April 2019, the higher rate of income tax will therefore only apply to income in excess of £50,000. The personal allowance and basic rate limit will remain the same for the 2020/21 tax year. In the following years, the limits will increase in line with the consumer price index. Principal private residence relief provides relief from capital gains tax on the disposal of a residential property that has been occupied as a main residence. The Government proposes to reduce the final period exemption for main residences from 18 months 9 months, subject to consultation. The longer 36-month period is expected to continue to apply for disabled persons and care home residents. Where a taxpayer has let their home, provided principal private residence relief is also available on a portion of the gain arising on disposal, lettings relief may also be available. The relief is given as the lesser of the gain relating to the period for which principal private residence relief is claimed, the gain relating to the let period and £40,000. From 6 April 2020 onwards, lettings relief will be restricted to those in shared occupation with a tenant. Lettings relief has always been a generous relief. The change, together with that to the final period for PPR, reflects the Government’s ongoing attack on landlords, discouraging property owners from retaining their current property to let property when they move. Entrepreneurs’ Relief reduces the rate of capital gains tax applying to certain qualifying disposals from 10%, subject to a lifetime limit of £10m. To benefit from the relief, the shares must be in the ‘personal company’ of the shareholder, currently meaning a company in which they hold 5% or more of the ordinary share capital and voting rights. The definition of a personal company for Entrepreneurs’ Relief purposes has been amended to require shareholders to not only have 5% or more of the ordinary share capital and voting rights, but also a 5% interest in the distributable profits and capital of the company. As discussed here, there may be wide-ranging ramifications to these changes, including, as the proposed legislation is currently drafted, to alphabet shares and growth shares. The change applies to disposals on or after 29 October 2018. Currently Entrepreneurs’ Relief is available subject to satisfying a minimum holding period of 12 months. The minimum period throughout which the qualifying conditions for Entrepreneurs’ Relief must be satisfied, will be extended from 12 months to 24 months for disposals from 6 April 2019 onwards. The legislation will include measures to protect the Entrepreneurs’ Relief position for businesses that have already ceased by maintaining the one -year qualifying period where cessation was before 29 October 2018. 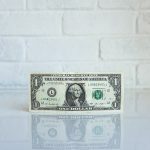 While the changes should not have a significant impact for genuine entrepreneurs who have built up a successful company over some years, the increase in the qualifying period means that it is more important than ever to ensure that all the relevant conditions are satisfied to ensure that the relief will be available. With the doubling of the qualifying time period, it will be more difficult to take remedial action at short notice to address any issues which might restrict the relief. As proposed in the Spring 2017 Budget, an individual whose shareholding is diluted below 5% qualifying threshold as a result of the issue of new shares to raise funds for genuine commercial reasons, will still be able to claim Entrepreneurs’ Relief on gains in respect of the time up to the date of dilution. Such shareholders will be able to elect to dispose of and then immediately reacquire their shares at their market value immediately prior to the dilution of their holding below 5%, with Entrepreneurs’ Relief available on the chargeable gain arising on this deemed disposal of their shares. The shareholder will further able to elect for the notional gain on the deemed disposal of their shares to be deferred until the actual disposal of the shares. The new rules will apply to fundraising events on or after 6 April 2019. A consultation will be launched in January 2019 on the potential implementation of a 1% stamp duty land tax charge for non-UK residents buying residential property in England and Northern Ireland. Scotland and Wales have their own separate systems of Land and Buildings Transaction Tax and Land Transaction Tax respectively and these are not impacted by the proposed change. Corporation tax – The Chancellor confirmed the long-announced reduction of the corporation tax rate. From 1 April 2020, the corporation tax will reduce from 19 per cent to 17 per cent. Annual Investment Allowance – The Annual Investment Allowance will be increased from £200,000 to £1m for two years from 1 January 2019. Companies, sole traders and partnerships will therefore be able to obtain a full deduction and therefore faster tax relief for qualifying capital expenditure of up to £1m for each of these two years. Care should be taken where accounting periods straddle the effective date of introduction of the increased relief and the timing of significant purchases considered in advance to ensure that the maximum relief is available. Structures and Buildings Allowance – Reviving the previously abolished ‘industrial buildings allowance’, the Government proposes to introduce a new structures and buildings allowance to provide a 2% capital allowance on the cost of new non-residential structures and buildings. The relief will be available, for new commercial structures including costs for new conversions and renovations. Expenditure qualifying for the structures and buildings allowance will not qualify for the Annual Investment Allowance. Expenditure on integral features will continue to qualify for writing down allowances. The new structures and buildings allowance will only apply where the contracts for construction works are entered into after 29 October 2018. Capital Allowances – The special rate of writing down allowances for qualifying plant and machinery will reduce from 8% to 6% from 6 April 2019. The special rate pool includes parts of a building considered ‘integral features’ such as lifts and escalators, space and water heating systems, hot and cold water systems and electrical systems including lighting as well as certain long-life items and cars with CO2 emissions of more than 130g/km. Non-UK Resident Corporate Landlords– The Government confirmed that the already published draft legislation charging of non-UK resident corporate landlords to corporation tax rather than income tax will be included in Finance Bill 2018-19. From April 2020, non-UK resident companies that carry on a UK property business or have other UK property income will be subject to corporation tax rather than income tax as they are at the moment. R&D Tax Credits – A new limit will be introduced on the amount of payable tax credit that a company can claim under the SME R&D scheme. Under this scheme, qualifying companies can claim enhanced deductions of 230% of qualifying expenditure against its profits while a loss-making company can surrender the deduction for a payable tax credit. The new limit will be set at three times the company’s total PAYE and NIC for the period. The changes will have effect for accounting periods beginning on or after April 2020. Having already been introduced to the public sector, from April 2020, medium and large companies will be responsible for assessing the employment status of any contractors whose services are provided under a contractor with a personal service company or other intermediary, accounting for any PAYE and employee and employer NIC. Small companies will be exempt. Employment Allowance – The Employment Allowance enables employers to reduce their Class 1 NIC liability, helping them to take on new employees. When introduced in April 2014, the allowance was £2,000 per employer, but this was increased to £3,000 from April 2016. The Government proposes to restrict the allowance to employers who had a NIC liability below £100,000 in the previous tax year. The new restriction will take effect from 6 April 2020. There are already anti-avoidance provisions to prevent connected employers claiming more than one Employment Allowance and, if different employers are connected, the £100,000 threshold will apply to their aggregate liability. Termination Payments and Employer’s National Insurance Contributions – The Government confirmed that it will implement legislation, originally announced in Budget 2017, to align the income tax and National Insurance treatment of termination payments. From 6 April 2020, only the first £30,000 of any qualifying termination payment will be free from employer’s NICs. The excess will be subject to employer’s NIC, though there will be no employee’s NIC. 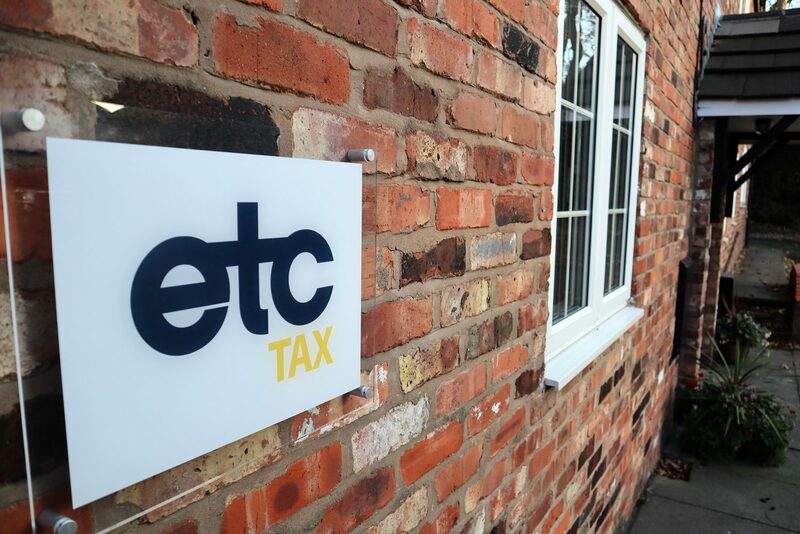 If you or your clients need help with tax issues post the 2018 Budget or a similar issue, or indeed if there are any other tax issues that you feel we may be able to help you with, please contact us at info@etctax.co.uk or on 01925 363006. You can also read more about the 2018 Budget below.